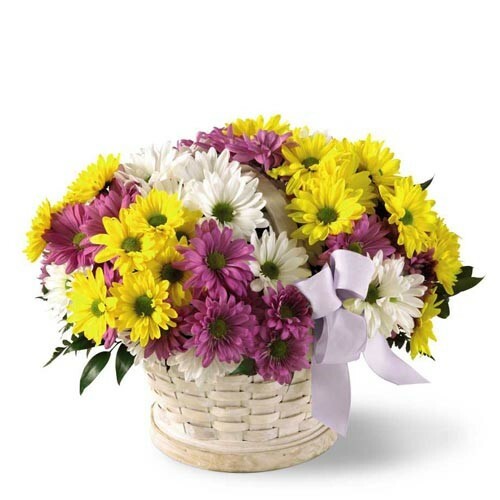 Daisies in a basket are a wonderful way to say "Happy Spring" and are a terrific gift for any occasion! Fresh, multicolored pastel daisies accented with fresh greenery. Quantities pastel daisies with fresh greeneries, arranged in a wicker handled basket.